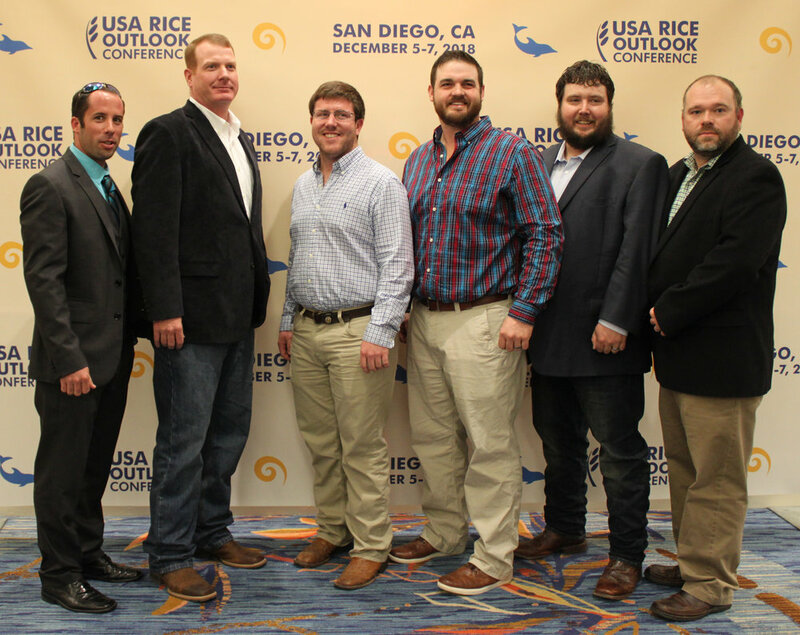 SAN DIEGO, CA -- Members of the 2019/21 Rice Leadership Development Program class were announced last week during the annual Rice Awards Luncheon at the 2018 USA Rice Outlook Conference. The class is comprised of seven rice industry professionals selected by a committee of agribusiness leaders. "This is a very outstanding and diverse group of young men and I think they will mesh well together in their upcoming sessions," said Rice Foundation Director Steve Linscombe. New class members are Jason Bond, Stoneville, MS; Austin Davis, Cleveland MS; Michael Durand, St. Martinsville, LA; Bobby Golden, Leland, MS; Austin Littleton, Parma, MO; Matthew Morris, Carlisle, AR; and Justin Nix, Maurice, LA. John Deere Company, RiceTec, Inc., and American Commodity Company are sponsors of the Rice Leadership Development Program through a grant to The Rice Foundation, and USA Rice manages the program.